Sylvain was born in Le Mans in France. After he graduated in his bachelor in modelisation, he went to Estonia to do one year of European voluntary service in the Tsirkusstudio Folie. During this year, he organized training as part of school and performed all around Estonia. 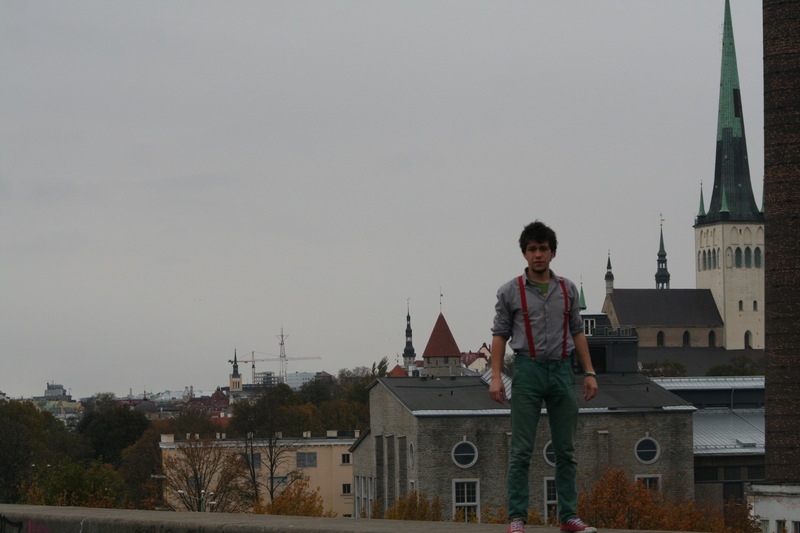 After this project with Folie, Sylvain stayed in Estonia. He developed his street show by performing a lot without being part of any events or festivals. In the same time, he took part in many evening training courses and seminars to develop his creativity and performing skills. This makes Sylvain a very flexible performer, able to make the best of any situation. For some proof of this adaptability, the OULALA etendus doesn’t need any electricity supply, it doesn’t need special installation which makes the set-up and take-down time very short, a size of circle that can be adapted depending on the place. 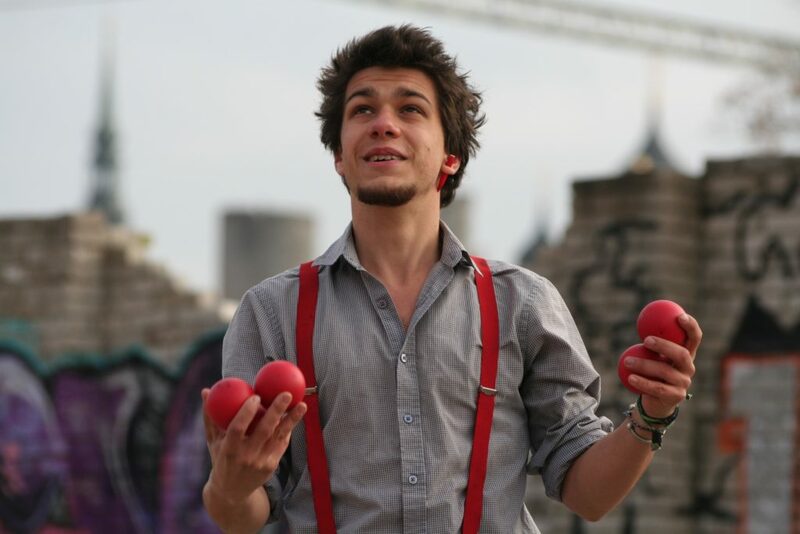 Sylvain Pomme has already performed with extreme climatic conditions (temperature below 5°, thick rain, or snow…) and none of them stopped him from performing. Sylvain POMME was on Estonian national TV for the reportage « Radaar ». Stay informed of all our News, like us on facebook.